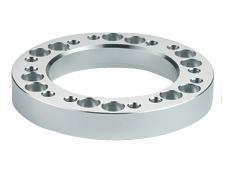 NRG Hub Spacer UNIVERSAL - Dezod Motorsports Inc - Home of the automotive performance enthusiast since 2002. Fine tune your steering wheel position to a comfortable level for street and track with a NRG Hub Spacer. Extends steering wheel closer by 0.5 inches.